Extension that enable you to trigger a Release for master builds only. Based on VSTS Trgger by Sergii Bomko: https://marketplace.visualstudio.com/items?itemName=sergiibomko.vsts-trigger It adds condition to trigger only if current Git branch is master. This is to allow a single build definition to be used to build all branches and Pull Requests, but trigger Release only for master builds. The extension contains tasks which allow to trigger processes. The task calls VSTS REST API for triggering process and fetching all needed data. 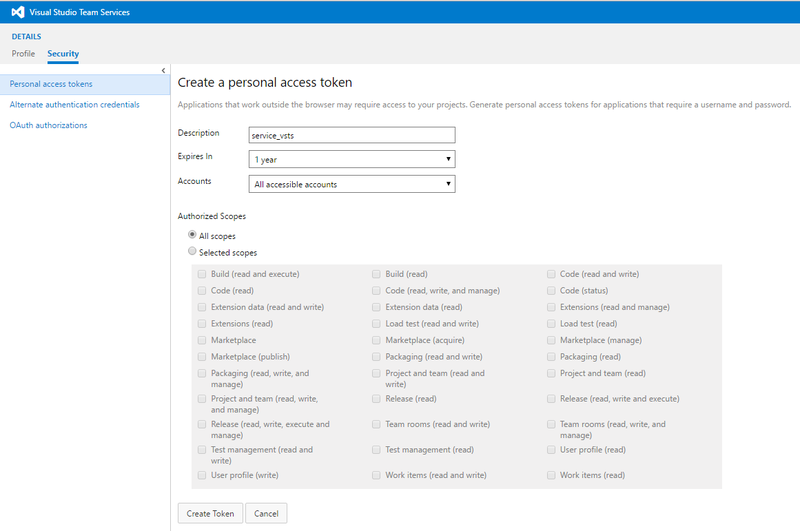 First of all you need to add Personal access token to your VSTS. You need to open My profile -> Security tab -> Personal access tokens and click Add button. The task allow to trigger release process from build process or other release process. 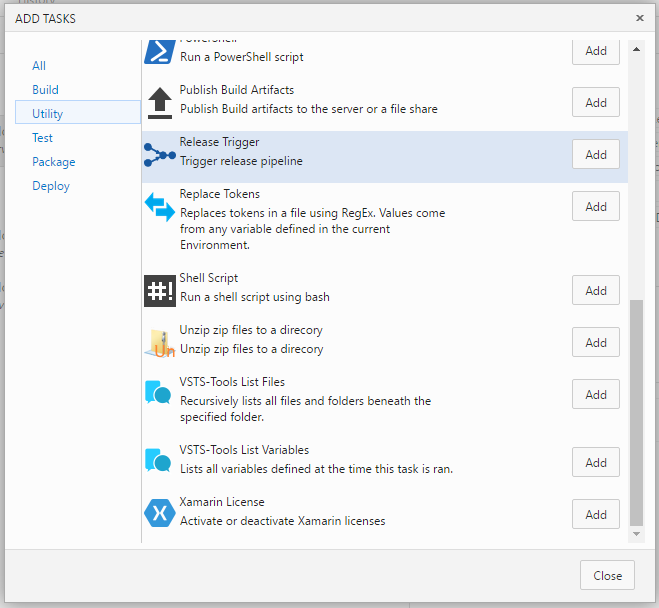 The task builds batch with all needed artifacts with latest versions for target release definition and trigger the release. In case when target release definition needs artifact from current process the task takes current artifacts, not latest.